Get on Board day is APTA’s new national awareness and advocacy day aimed at generating awareness of, and increasing support for, public transportation among riders and non-riders, elected officials and stakeholders. The National Safety Council provides educational services to improve transportation safety. These services include the Alive at 25 program and defensive driver instructor development courses. More information about the National safety council can be found by joining the webinar. Hotel reservations should be made by direct phone calls to the HOTEL reservations office at 1-800-788-2464. When calling in for reservations be sure to refer to the block name Oklahoma Transit Association-OTA or block code 1905OKLAHO in order to receive the special OTA rate of $93 plus tax and for your request to be handled as efficiently as possible. Reservations need to be made by Sunday, April 14th at 5:00pm. Attendees click here to register. Vendors & Exhibitors email barnonemark@gmail.com for information and registration opportunities. The conference will take an in-depth look at the mobility needs of Oklahoman’s and investigate opportunities, policies and the funding local transit agencies have to meet those needs. In addition we will preview new and innovative tools and practices available to enhance service and safety while ensuring coordinated and effective transit service statewide. At the Annual Meeting, OTA will elect the annual leadership team and we will honor systems across the state for service to public transit. Welcome: Jenny Sanchez has lived in the Durant area for 25 years. She is married to Samuel Sanchez and has an 8 year old son named Gaius. Jenny is the President of Cherokee Communications and is active in her community. She is the president of the Durant Area Chamber of Commerce, the chairman of the Magnolia Festival, and serves on the board for the Oklahoma Shakespearean Festival. Jenny also attends the First United Methodist Church where she serves on the Children’s Council and teaches Sunday School. 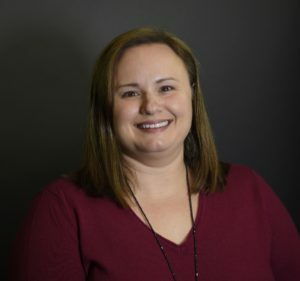 Welcome: Jana Boykin Deputy Director of Choctaw Nation Tribal Transit, has worked for Choctaw Nation for almost 16 years, worked for Tribal Transit for 11 of those years, started with the program as a dispatcher, and was later promoted to Deputy Director. Married, with three children, and four grandchildren, she lives in Hugo, Oklahoma. An active member of Chisum Trails Cowboy Church, Jana is a member of the Choctaw Bike Team and the Choctaw Nation Trail of Tears Bike Team, serves on the Hugo Soccer League board, is Secretary for Springs Chapel Cemetery Association. Her hobbies are coaching soccer and cheer, cycling, running 5ks, beadwork/jewelry making, spending time with family and watching kids and grandkids in their activities. Remarks: Chief Gary Batton is the 47th Chief of the Choctaw Nation of Oklahoma, the third largest Indian tribe in the United States with more than 200,000 citizens. After being sworn into the Office of the Chief in 2014, Chief Batton set a clear direction in his inaugural address indicating a specific vision for his administration. He believes his main purpose is to create a better future for the Choctaw people. He spends countless hours in the communities with the tribal members he serves. He works to protect their culture, provide opportunities for education, improved healthcare, employment, and ultimately, do what is best for Choctaws. Through diversification, the Nation now has over 70 businesses in 13 different industries including hospitality, entertainment, agriculture, defense and more. 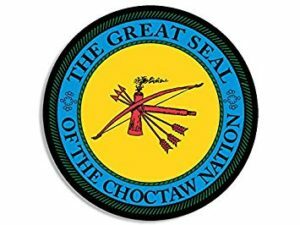 Chief Batton has established a sound economic base for the Choctaw Nation with annual revenue exceeding $1.5 billion. Chief Batton and his wife, Angie, make their home in Clayton, Oklahoma. They have two children, Stacy and David, and two grandchildren. Choctaw Cultural Exhibition: The origins of today’s Choctaw traditional dress in Oklahoma goes back to the 1700s. Ancestral Choctaw women began obtaining cloth from French trader’s European trade routes and settlements came into Choctaw homeland of the Southeast. Today’s dress is the product of a long line of development and adaptations working tribal designs into the ribbon work or applique. Modern traditional dress is worn mostly for special occasions and dances, but some tribal elders still dress in this fashion every day. Modern Choctaw regalia for men includes a cotton shirt with either a round neckline or an open collar with applique or ribbon work. Most are bold colors with contrasting trim representing one of the traditional Choctaw Motifs: Full diamond or half diamond. The shirt is paired with black pants and shoes, as well as a wide brimmed black felt hat. Other accessories for men include hat bands made of ribbon or beads, baldrics (a sash made of fabric with beadwork designs or applique ), belts, handkerchiefs, beaded medallions, beaded collars, and colored silk ribbons pinned at the waist. 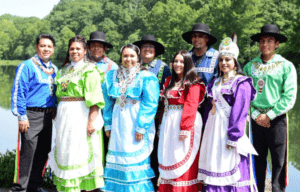 Choctaw women wear colorful cotton dresses that consist of a bodice with fitted waist and a long full skirt trimmed with ruffles. An apron of a contrasting color completes the outfit. Their clothing is adapted from European designs of the 1700s and also feature applique or ribbon work in traditional Choctaw motifs such as full diamonds or half diamonds, or a series of circles and crosses which represent the game of stickball. The forerunners of today’s dresses are separate cotton skirts and blouses with very simple, but elegant ribbon work. They are pictured in paintings of the 1840s-1870s. Other variations of the dress still exist today as either separate skirts and blouses or more simple versions of the full dress with shorter sleeves and hemlines in calico print cotton fabric. These are considered work or everyday clothes. There is no true pattern for the dress, but traditionally all the fabric is torn by hand instead of cutting, to create the piece of the dress or shirt. The Choctaw women have many accessories they wear with their dresses. Extensive sets of beaded jewelry, hair combs, beaded belts, basket purse, handkerchiefs, sashes, and colorful silk ribbons pinned to the back of the dress are only a few of the adornments seen today. 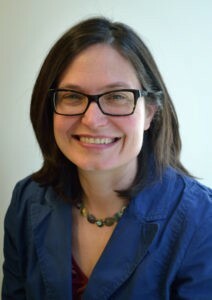 Beth Osborne serves as the director of Transportation for America, where she leads transportation policy development and advocacy as well as technical assistance with departments of transportation. 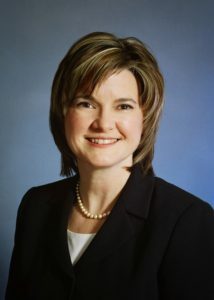 She was previously at the U.S. Department of Transportation (DOT), where she served as the Acting Assistant Secretary for Transportation Policy and the Deputy Assistant Secretary for Transportation Policy beginning in 2009. At DOT, Beth managed the TIGER Discretionary Grant program, the Secretary’s livability initiative, the development of the Administration’s surface transportation authorization proposal, and the implementation of MAP-21. Before joining DOT, Beth worked for Sen. Tom Carper (DE) as an advisor for transportation, trade and labor policy, as the policy director for Smart Growth America and as legislative director for environmental policy at the Southern Governors’ Association. She began her career in Washington, DC, in the House of Representatives working as a legislative assistant for Rep. Ron Klink (PA-04) and as legislative director for Rep. Brian Baird (WA-03). 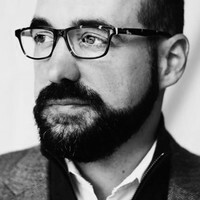 Moderator: Eric Pollard became Central Oklahoma Clean Cities Coalition Coordinator at the Association of Central Oklahoma Governments (ACOG) in December 2014. Since joining ACOG, he and coalition stakeholders have celebrated several exciting milestones, including: the Coalition’s 20th Anniversary in 2016; the State of Oklahoma meeting its goal of opening a public CNG station on every 100 miles of interstate within its borders; Oklahoma City meeting EPA ozone standards; the opening of the first electric vehicle fast charging station at an Oklahoma convenience store; and historic growth in the use of CNG, electricity, propane, and E85. Pollard manages the activities of the coalition and works to increase the use of alternative fuels and advanced vehicle technologies in Central and Western Oklahoma fleets, support the many Oklahoma businesses and industries that benefit from increased use of these fuels and vehicles, and communicates with the public about benefits to regional air quality. Ashley Duplechien, Manager of Business Development at Trillium – A Love’s company, has been operating in the alternative-fuels industry since 2016. She previously managed Marketing and Communications for Trillium, and has run the company’s annual golf charity event for the last four years, raising over $1.74 MM for Texas Children’s Hospital alongside sister-company Musket Corporation. 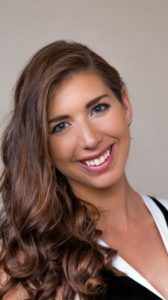 Prior to her work at Musket Corporation and Trillium, Ashley trained and performed as a classical vocalist, completing her M.A. at The Royal Academy of Music in London in 2013. 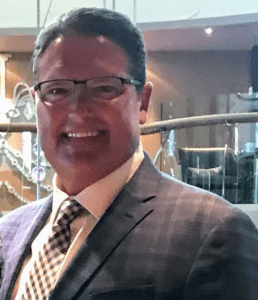 Brent Roy is a bus sales professional with Creative Bus Sales specializing in the sale and support of custom vehicles for public transit agencies throughout the Southwest. For more than 16 years, Brent has worked closely with public transit agencies in Texas, New Mexico, Oklahoma, Kansas and Arkansas including large metro, small urban, and rural public transit agencies. An expert in bus technical specifications and regulations, Brent is an advocate for public transit agencies with multiple bus manufacturers. His consultancy is widely relied upon by public transit fleet managers and directors during the vehicle planning and purchasing process. 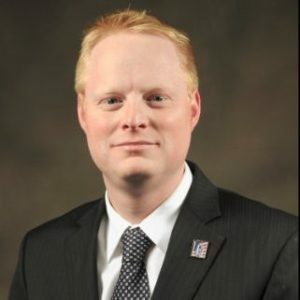 Brent has served on boards of directors for the Oklahoma Transit Association, the New Mexico Transit Association, and the South West Transit Association. He lives in Burleson, Texas with his wife Jennifer and is the proud father of Ashley and Blair. 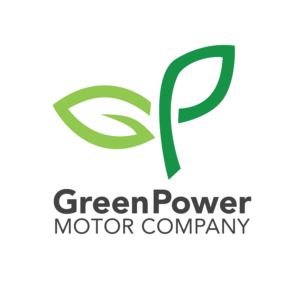 Brendan Riley is President of GreenPower Motor Company. He comes to GreenPower with more than 23 years of experience in the area of Business Development, Sales Strategy and Operations. Previously, Brendan was North American Vice-President of Fleet Sales for BYD Motors, where he ran multiple electric vehicle business units including the material handling, truck and the bus groups. It was here that he secured the largest privately funded electric bus contract in North America two years in a row (for 25 and 36 respectively). He was also instrumental in negotiating the purchase and setup of two manufacturing facilities for BYD (an electric bus assembly plant and an EV battery assembly plant in California). 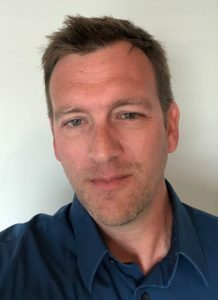 Brendan served two terms as the President of the Southern California Chapter of the AVS for Science and Technology, and is currently serving as an advisor on the EPRI Bus and Truck Charging Interface Group. 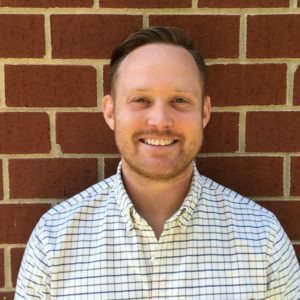 Jared Schnader began his career by running a start-up transit bus OEM at the age of 26 focusing on CNG propulsion. He was later brought in to run market development for an advanced propulsion system for transit buses. 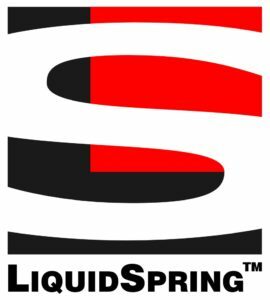 Leaving the OEM side, he branched out to run a Software as a Service company, Shopbuses.com, which was the first commercial bus dealer specific Dealer Management Software (DMS). Jared was given a web address, and little more to start with. Within eight months, Shopbuses.com, the hosting platform, was the largest bus inventory website in the western hemisphere. In 2016, Jared left the tech arena and started his own Non-Emergency Medical Transport company in Panama City, FL. 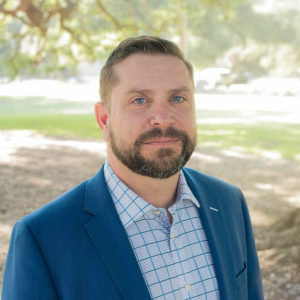 In 2018 his company was acquired, and he joined CALSTART as the Small Urban and Rural Transit Agency Program Manager in January of 2019, where he focuses his efforts on enabling agencies to pursue, procure, and deploy alternative fuel vehicles in their fleet. He graduated from the University of Alabama with a degree in Finance, is a Returned Peace Corps Volunteer, a member of MENSA, and lives in Santa Rosa Beach, Florida with his wife and three children. 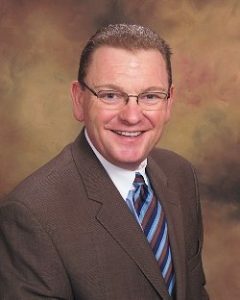 Welcome: Kent Watson is the Executive Director of Big Five Community Services with its Home office in Durant, Oklahoma. Under his leadership, the Agency has undergone rapid expansion and now provides community development services in 28 counties with a workforce of over 300. Kent received a BA in Ed. from Southeastern Oklahoma State University in 1984 and a Juris Doctor from the University of Oklahoma in 1987. 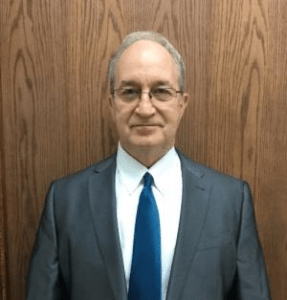 He is a former prosecutor, private practitioner, and consultant and has been a licensed member of the Oklahoma Bar Association for more than 30 years. Presentation of Oklahoma Transit Association Economic Study and Needs Assessment: As executive director of the Oklahoma Transit Association (OTA), Mark Nestlen is responsible for the day-to-day operation of the statewide organization that serves as the state’s voice for public transit. OTA is comprised of urban, small urban, rural and tribal transit members all focused on one, overarching priority: To improve the mobility and access for all Oklahomans. With more than 10 million rides furnished statewide every year, OTA members offer opportunity for thousands of Oklahomans daily. Under his leadership, OTA will continue to promote public transit in Oklahoma at the local, state and federal level, telling the story and expressing the transit needs of Oklahoma citizens. 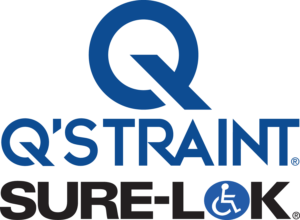 OTA also provides continuing education for its members, ensuring the highest level of professionalism and service among public transit providers. Moderator: Prior to founding Solid Foundation Consulting, Tom Robins served in Governor Mary Fallin’s Administration as the Deputy Secretary of Energy for Oklahoma. In this role, Tom worked with the public and state energy related boards agencies and commissions to help implement the Governor’s state energy plan. He also served as the Governor’s representative to the Interstate Oil and Gas Compact Commission, the Southern States Energy Board and the Western Governors Association. Previously, Tom worked at Williams Energy and was a member of the government relations team at Chesapeake Energy where he managed all employee political engagement on issues impacting the energy industry. Before moving to Oklahoma, Tom worked in Washington D.C. on the staff of the United State Senate Judiciary Committee. Tom holds a B.A. in History from Utah State University and a M.A. in Political Management from George Washington University. Dan Hoffman took over as Assistant City Manager for the City of Gainesville, Florida in July of 2017 after spending five years as the Chief Innovation Officer for Montgomery County, Maryland. In his role as Assistant City Manager Dan oversees approximately 700 employees covering Fire and Rescue, Public Works, Parks and Recreation, Transportation and Technology. Recently he created the Department of Mobility in the City of Gainesville. This new department oversees all of the City transit services including an autonomous shuttle project and a first mile/last mile initiative. 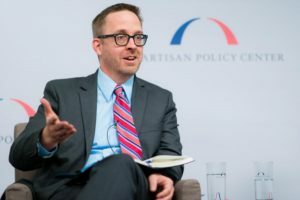 Prior to his time in local government Dan was an appointee at the Nuclear Regulatory Commission and a consultant with PricewaterhouseCoopers. He speaks frequently on subject of smart cities and open data. He holds degrees from George Washington and Johns Hopkins Universities. 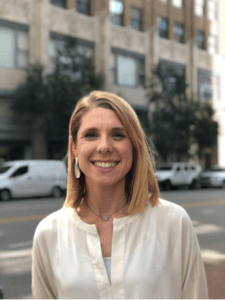 Adriane Jaynes is the Alternative Fuels Planner at INCOG, where she works to prepare the Tulsa region and the state for emerging transportation technologies with an emphasis transportation electrification and vehicle autonomy. In this role, she also serves as Coordinator for Tulsa Area Clean Cities Coalition, a US Department of Energy program hosted at INCOG, with a goal of reducing dependence on imported petroleum. She serves on several state and local taskforces convened to prepare for on-road advanced transportation technologies, is a founding member of the Oklahoma Electric Vehicle Coalition and serves on its executive committee. Jaynes has been at INCOG since 2011 and has a Master’s Degree from the University of Oklahoma. Remarks: Allen Leaird is the Division Director over Transportation, Housing and Weatherization for Big Five Community Services. He has also served as the Director of Housing and Energy for Big Five. Allen is certified EEO from the Department of Labor, and is a two-time winner of the Ted Allen David Walker award. This award recognizes a single individual in the state that has gone over and above promoting Housing in Oklahoma. He has also received the life time achievement award, Transit Professional of the Year, and Transit Project of the Year (twice) from the Oklahoma Transit Association. Allen has served as a legislative liaison between state programs and elected officials in DC as well as the Oklahoma Capitol. He has worked closely in developing and expanding public transit, and continues to do so. He currently serves as the TransitPAC Chair for the Oklahoma Transit Association. Allen has been active in economic development with the cities Big Five serves and was directly responsible for more than $4 million in new construction in a single year. 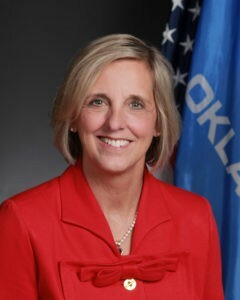 Allen holds degrees from both East Central University in Ada and the University of Oklahoma. Terrorists Threat in Public Transit: An intelligence briefing on Oklahoma’s mass transit system and highway modes of transportation, covering terrorism and domestic threats, recent trends and incidents impacting mass transit sector, and training materials on active shooter preparedness. Speaker: Rich Cummings works as the Transportation Security Administration (TSA) Field Intelligence Officer (FIO) for the State of Oklahoma. Based in Oklahoma City, Rich supports the Federal Security Director for Oklahoma, and provides intelligence support and information sharing to the aviation sector and airports in Oklahoma City, Tulsa, Lawton, and Stillwater, as well as supporting other modes of transportation in Oklahoma, to include freight and passenger rail, highway (bussing, trucking), and pipeline. 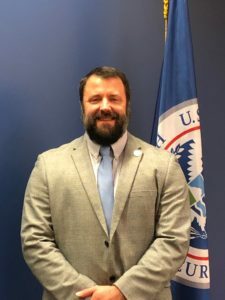 Over his career, Rich has worked at TSA headquarters in multiple areas within the Office of Intelligence and Analysis, as an Intelligence Officer with the Department of Defense, and served on active duty in U.S. Marine Corps. Moderator: Rep. Carol Bush (R-District 70) was born and raised in Tulsa. After graduating from Oral Roberts University in 1983 with a business marketing degree, Carol successfully ran her own retail stores for 20 years. She then turned to public service within the Health Department and then as the Executive Director of the Crime Commission’s Crime Prevention Network. In her second term, Carol serves as Chair of the Children, Youth and Family Services Committee. She is also a member of the Oklahoma Commission on the status of Women, the Diabetes Caucus, the Waiting List Caucus, the Oklahoma Early Childhood Legislative Caucus and the Oklahoma Care-Giver Coalition. Carol has extensive experience as a community volunteer. Over the years she has served on various boards in the Tulsa area including; Big Brothers and Sisters of Green Country, Tulsa Area United Way, Camp Fire U.S.A., Tulsa Public Schools Mentoring Council, Philbrook Art After Five, Board of Deacons at First Presbyterian Church, Emergency Infant Services, Philcrest Tennis Club, Brookside Merchant Association, American Advertising Federation, Carnegie Elementary PTA, YWCA, and Junior League of Tulsa. She is married and has two daughters, Moriah, a teacher in Kansas City, and Nicole, a student in Denver. State Public Transit Policy Plan: Jaimie Baldwin is the Training Program Coordinator for the Oregon DOT’s Rail & Public Transit Division. In this role she works to enhance the knowledge and skills of public transit agency staff throughout the state of Oregon. This includes coordinating the annual Oregon Public Transportation Conference and facilitating the state Public Transit Advisory Committee, while staying apprised of innovative practices and new technologies. In doing so Jaimie’s goal is to help ensure that Oregon remains a pioneering leader in the public transportation industry. 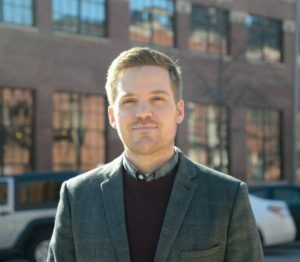 Microtransit: Adam Yeatts is the Manager of the Business Development Executive Team at TransLoc, a Ford Smart Mobility company, based out of the Research Triangle Park in Durham, North Carolina. He spends his weeks speaking with cities and transit agencies across the country about how to remain the center of mobility for people as technology is rapidly changing the landscape of how people move. TransLoc currently leads this space with over 100+ engagements. Since coming on board at TransLoc, Adam has had the opportunity to speak with over 250 transit agencies about the utilization of microtransit as they rethink how to deliver service in the changing landscape of technology. The knowledge he has gained during these conversations has allowed him to become a vital addition to the microtransit think tank. His hands-on approach and willingness to provide continuous support to our partner agencies is what is driving TransLoc’s mission to make transit remain the center of mobility. 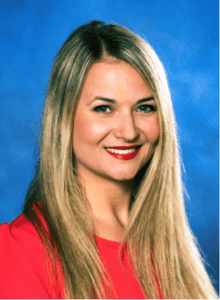 Statewide Mobility Call Center: As Vice President of Transit Solutions for Routematch, Pepper Harward is responsible for technical and product strategy for conventional transit, mobility and integrated payment markets. He has spent the last six years identifying trends in transit, the challenges they present to the market and the potential technology solutions that will help move the industry forward. Pepper received a degree in Economics from the University of Utah and a law degree from Georgetown University. Moderator: Joe Dorman serves as the Chief Executive Officer for the Oklahoma Institute for Child Advocacy. OICA is the statewide organization that serves as the voice for Oklahoma’s children within state government. Since taking over this role in 2016, Dorman has returned the organization to its roots of advocacy work by equipping Oklahomans with the tools they need to call upon elected officials to do better work for the children of our state. OICA also runs OK Foster Wishes. 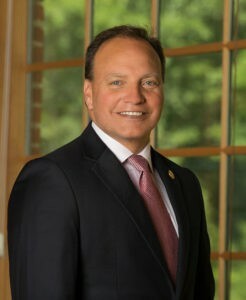 Joe began his professional career following graduation from Oklahoma State University as an employee of the Oklahoma House of Representatives, starting as a mail clerk and runner. After working in various staff positions, he served as an Assistant to the Executive Director of the House Staff, the role in which he helped create an educational component for the high school pages that rotate each week through the capitol. He went on to serve House District 65 as the state representative for 12 years, authoring key pieces of legislation for education, public safety and government accountability, including authoring the original bill to create a training for municipal officials. He was the 2014 Democratic nominee for Oklahoma Governor and formerly served as a town council member in Rush Springs, also known as the Watermelon Capitol of the World. 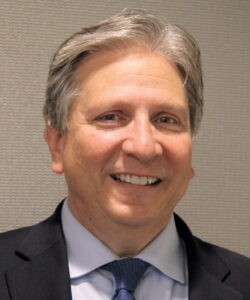 Art Guzzetti, a 39-year professional in public transportation at the local, state and national levels, serves as Vice President-Mobility Initiatives & Policy for the American Public Transportation Association (APTA), the trade group for the public transportation industry. Among other things, Art is responsible for APTA’s extensive policy development and research agenda, and for advancing policies favorable to public transportation with Congress, the Administration, state and local governments, with grassroots and stakeholder organizations, and with public policy think tanks. A key current focus is integration of transit networks with new and emerging public and private mobility services, including microtransit, transportation network companies, automated vehicles and bicycles. The public transit agency of the future will weave these services into a system, with high-capacity transit lines in key corridors as the backbone. Prior to coming to Washington in June 1997, hei had 16 years of management experience with two of the nation’s leading public transportation systems: New Jersey Transit, and the Port Authority of Allegheny County. Art has a Political Science degree from Edinboro State University, and a Master of Public Administration Degree from the University of Pittsburgh. Among other position, he is the immediate past national president of the Transportation Research Forum. He is married 39 years and is father to four children and the grandfather of five. Kristen Joyner is the Executive Director for the South West Transit Association (SWTA). SWTA is an 8-state regional organization committed to delivering education, communication and advocacy services for public transportation providers. Prior to SWTA, Kristen was a national trainer for Fred Pryor and Career Track Seminars. Her hands-on transit experience comes from working at Central Arkansas Transit Authority in Little Rock. This combined background allows her to develop progressive educational materials and provide interactive instruction on leadership, coaching, and mentoring principles for transit managers and employees. She serves on the White House task force for Transportation and Human Trafficking; is involved in efforts to train veterans for jobs in public transportation; and was named one of METRO Magazine’s Top Women in Transportation. She is currently the Region 6 representative for the CTAA Board and serves as the Chair of the Access Sub-Committee on Technology and Training for APT. Ed Redfern is the Executive Director of The Bus Coalition, group he founded with 17 transit CEO’s around the United States in 2013. The Bus Coalition now has more than 160 transit systems in 45 states as members. Ed started his consulting firm, Redfern Resources, in October 1989. 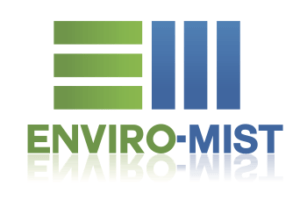 He provides government and public relations programs for firms and organizations in Washington, DC. He represents the Iowa Public Transit Association, The Ruan Companies, and The World Food Prize. Ed has in the past also been associated with Drinker Biddle Law Firm. Among the organizations Mr. Redfern represented in Washington in the past, are the Kansas Public Transit Association, Missouri Public Transit Association, Lennox International, Bandag, HNI Corporation, FMC Corp., Newton Manufacturing, as well as others. Prior to opening his own consulting company, Mr. Redfern was a staff aide to U.S. Senator Chuck Grassley of Iowa. He handled transportation and appropriations issues, as well as many other issues for the Senator who served on the Transportation Appropriations subcommittee. Before joining Sen. Grassley’s staff, he served for 12 years on the staff of Governor Ray of Iowa and also worked in both the Ford and Reagan White House. Speaker: In early 2019, Tim J. Gatz was appointed Secretary of Transportation by Gov. 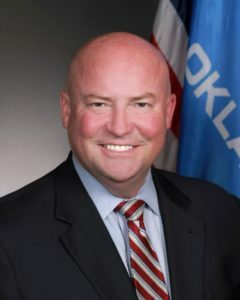 Kevin Stitt and the Oklahoma Transportation Commission named him Oklahoma Department of Transportation Executive Director, effective April 1, 2019. 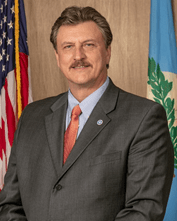 Prior to that appointment, Gatz was named the Executive Director of the Oklahoma Turnpike Authority in 2016 and previously served more than two decades at the Oklahoma Department of Transportation. Tim started his career at ODOT as a Drafting Technician in 1990. Then in 1992, he became the Enhancements Program Coordinator and moved up to Special Projects Manager in 1997. In 2000, he became Division Manager of the Project Management Division where he was instrumental in the development of ODOT’s Eight-year Construction Work Plan. Gatz was promoted to the Senior Staff position of Director of Capital Programs and Information Management in 2006 and led the department’s coordination with county governments to develop and deliver the County Improvements for Roads and Bridges Program which provides dedicated funds for high-priority county transportation projects statewide. He served as Deputy Director from 2013 until his appointment to OTA in 2016. Tim earned a bachelor’s degree in landscape architecture from Oklahoma State University in 1989 and is a registered professional landscape architect. He has received several honors including the Oklahoma Good Roads & Transportation Association’s Bill Skeith Stewardship Award, the Governor’s Public Service Award and the Federal Highway Administration’s Partners In Quality Award. He is a member of the American Association of State Highway and Transportation Officials, the International Bridge, Tunnel and Turnpike Association and the American Society of Landscape Architects. Tim and his wife, Sandy, live in El Reno and have two sons. Speaker: James Sullins has served as President & CEO of ACEC OKLAHOMA, the state trade association for independent, professional private-practice engineering, architectural/engineering, and/or land surveying firms, since 1988. He is responsible for all management activities of the Council, government and regulatory relations and lobbying at both the state and national level; public relations and publications; and, continuing education coordination. Jim began his association management career in 1979 working for the Kansas Motor Car Dealers Association. 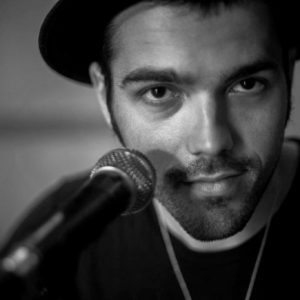 Prior to that, he worked in the radio & television industry for eleven years. Jim is a 1974 graduate of the University of Missouri – Columbia, holding a Bachelors of Arts in Broadcast Communications. He is a Certified Association Executive (CAE), receiving his certification from American Society of Association Executives in July, 1991. He is one of approximately 3,000 CAE’s nationwide. Speaker: Dan Peschell has been with Federal Transit Administration (FTA) since Sep. 2015 as a Transportation Program Specialist and provides Grants Management/Oversight to many recipients in Oklahoma which include ODOT, OKDHS, COTPA/EMBARK, Tulsa Transit, INCOG, Lawton, CART/OU, Miami Tribe, Muscogee Creek Nation, Pawnee Nation, and Ponca Tribe. 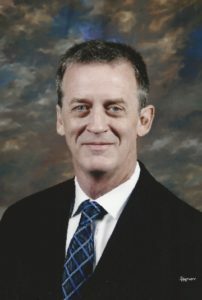 Prior to coming to FTA he worked with Dallas Area Rapid Transit (DART) for over 25 years in finance/grants management. Dan also had previous experience with an Armored Car Company, a Savings & Loan and is a veteran of the US Navy. Dan is originally from Pennsylvania and attended Saint Vincent College in Latrobe, PA and relocated to the Dallas/Fort Worth area in 1985.